Paramount Release New Poster for Michael Bay's 'PAIN & GAIN'! Paramount Pictures has released an official one-sheet for Michael Bay's upcoming Pain & Gain. Based on a true story the movie follows a group of bodybuilders who are engaged in a campaign of kidnapping, extortion & murder in Florida. First told in an article from the Miami New Times, the movie stars Mark Wahlberg, Dwayne Johnson, Anthony Mackie, Ed Harris, Rob Corddry, Tony Shalhoub, Bar Paly, Rebel Wilson, Ken Jeong & Yolanthe Cabau. Pain & Gain hits theaters April 26th 2013. 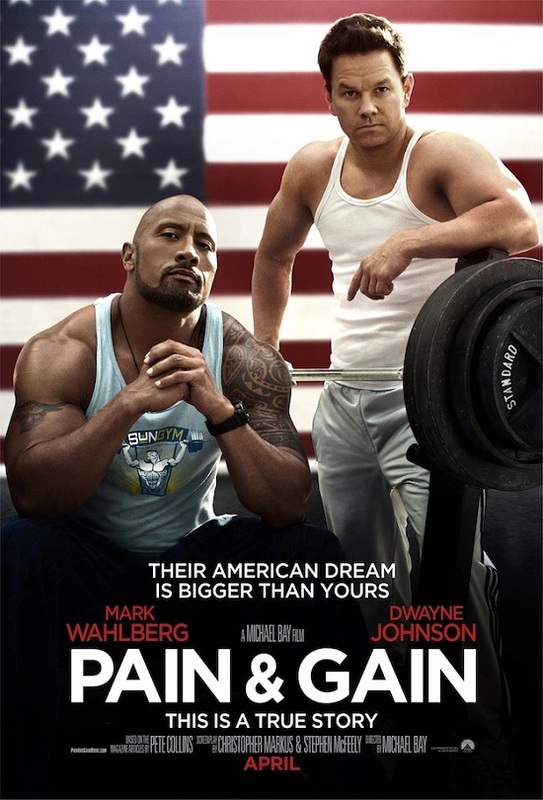 I'm reading: Paramount Release New Poster for Michael Bay's 'PAIN & GAIN'!Tweet this!